I took so many pictures of our vacation that I wish I could share them all. 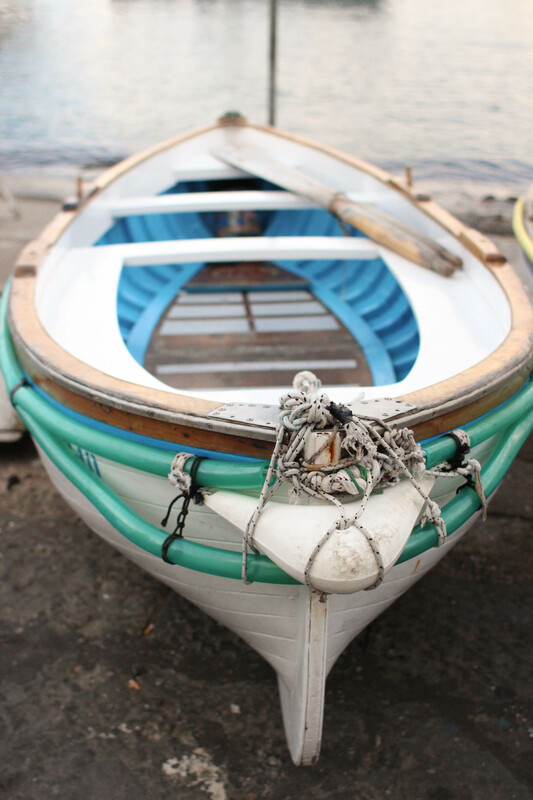 You can check out my previous posts on Sorrento and Positano. 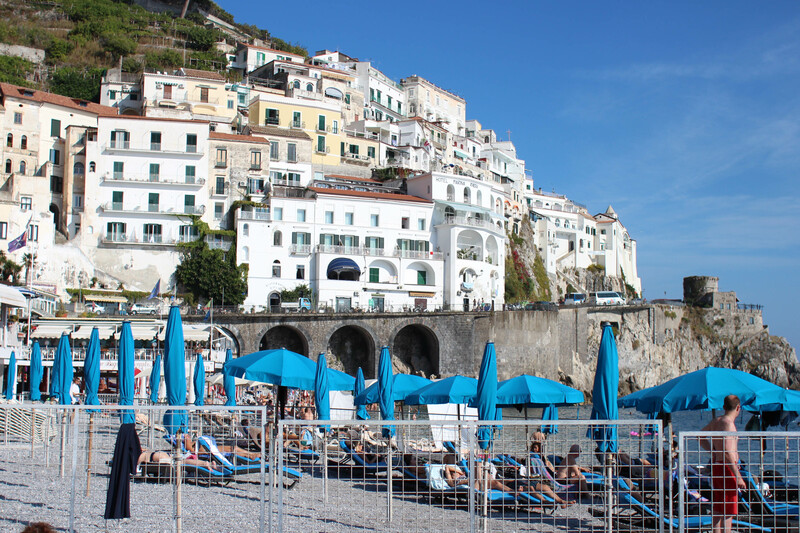 This post is dedicated to three other cities that we visited during our visit to the Amalfi Coast. 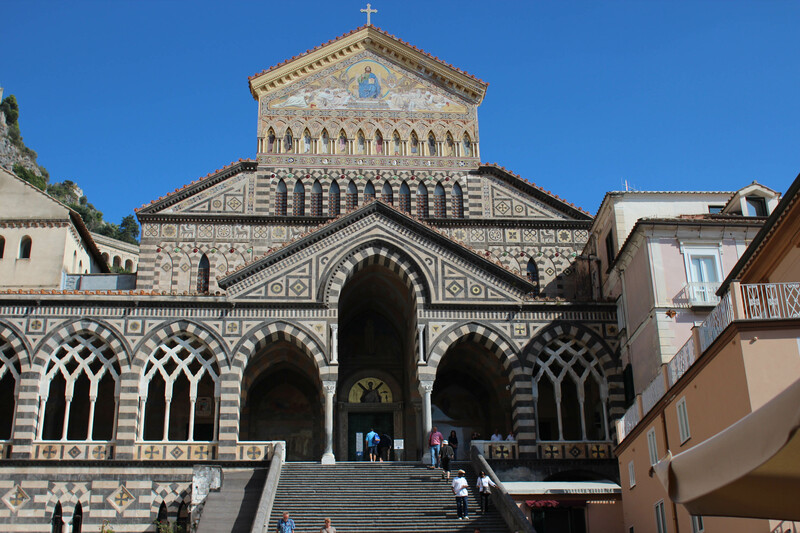 We visited Amalfi and Ravello via a small tour group (organized by our hotel). I have to say, I’m glad we did it that way, especially with Luke. The van was big, comfortable, and convenient. And…the tour guide and driver knew their way around the area…so we didn’t feel lost or get lost! 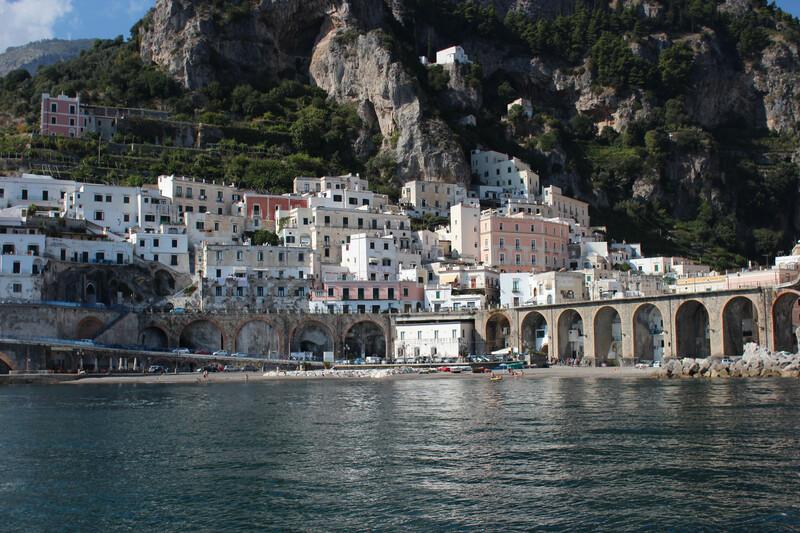 Also during our tour, we brought a handy Rick Steves’ Snapshot Naples and the Amalfi Coast book as another resource of information. 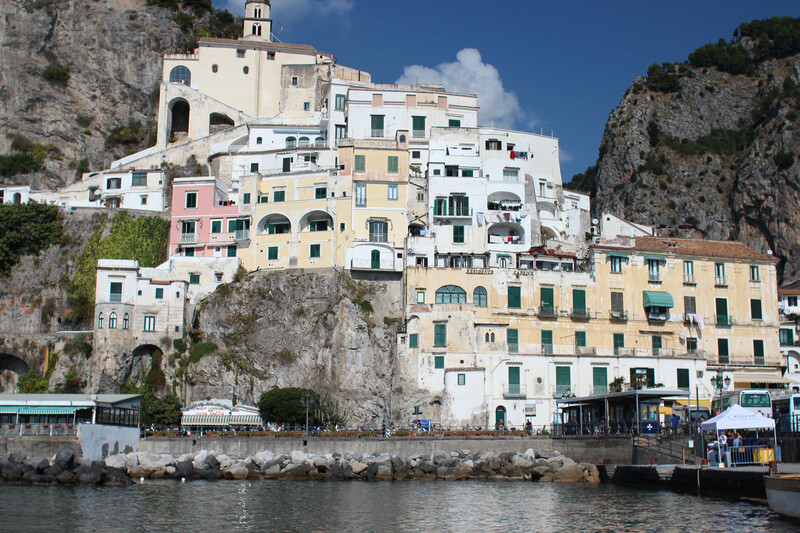 Amalfi is such a tiny and cute town. We stopped here for lunch during our tour. We got to sit outside in the main square and shared a pizza together. 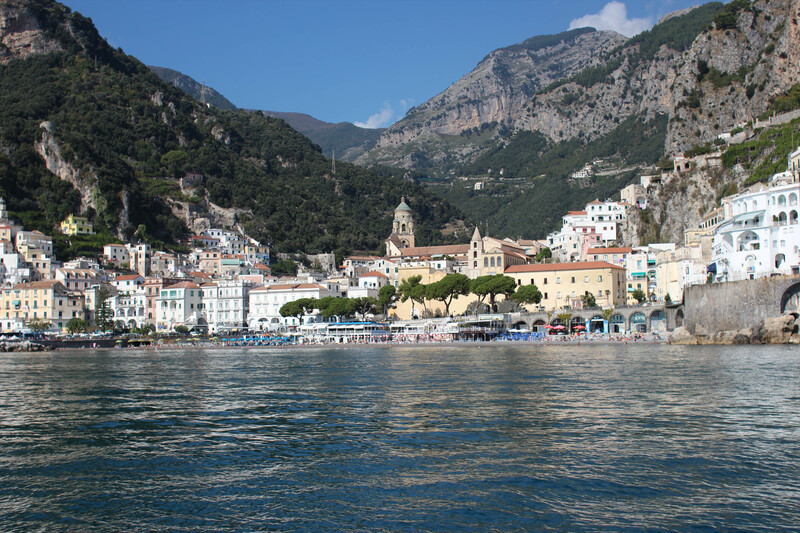 While in Amalfi, our tour guide took us on a boat tour. I wasn’t sure if we should take the boat tour because I get seasick easily, and Luke was napping. But Charlie and I looked at each other…and both agreed without saying anything that we should go. We were thinking that this could possibly be a once in a lifetime experience. If not, it will be long time until we come back. So we jumped on the boat with the rest of the tour. Luke woke up and we all enjoyed the most scenic boat tour. And guess what? My seasickness did not kick in. I think it was because there is something truly special about this place. The view of the church from where we had lunch. 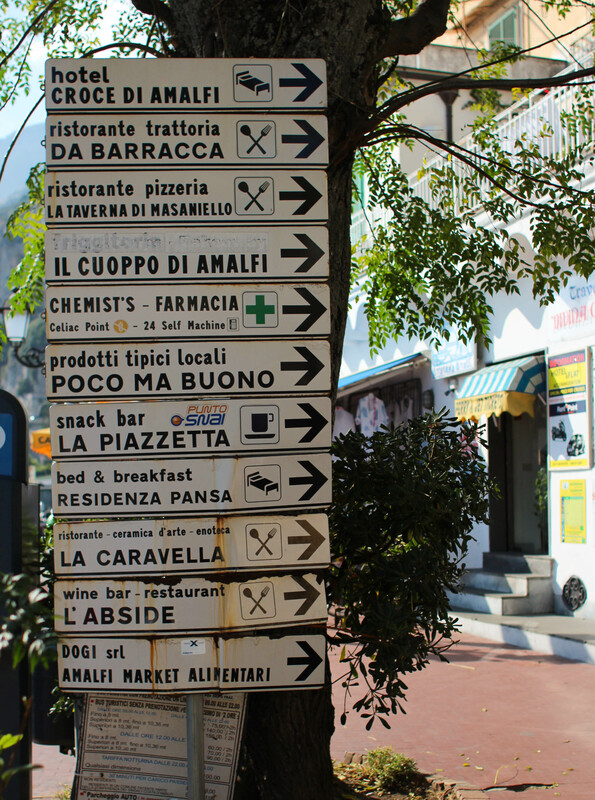 Ravello is situated on top of this mountain or cliff. The drive up there was winding but so picturesque. Once up there, the tour guide left us to do our own thing for about an hour. 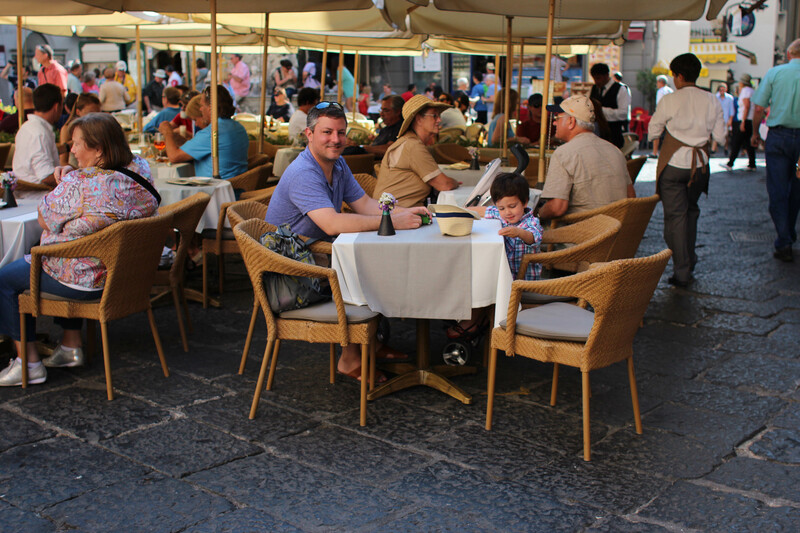 One of my favorite memories from the trip was watching Luke chase after the pigeons in the piazza. He was just so happy to find these pigeons and scare them away. At that moment I realized that it was the right thing to take Luke with us. These memories will live with me forever. And I’m sure I’ll be telling him that story over and over again. I didn’t take pictures of him chasing the pigeons because I was having fun doing it with him. Everything about the afternoon was just so perfect…except for the fact that I ran out of batteries on my DSLR. 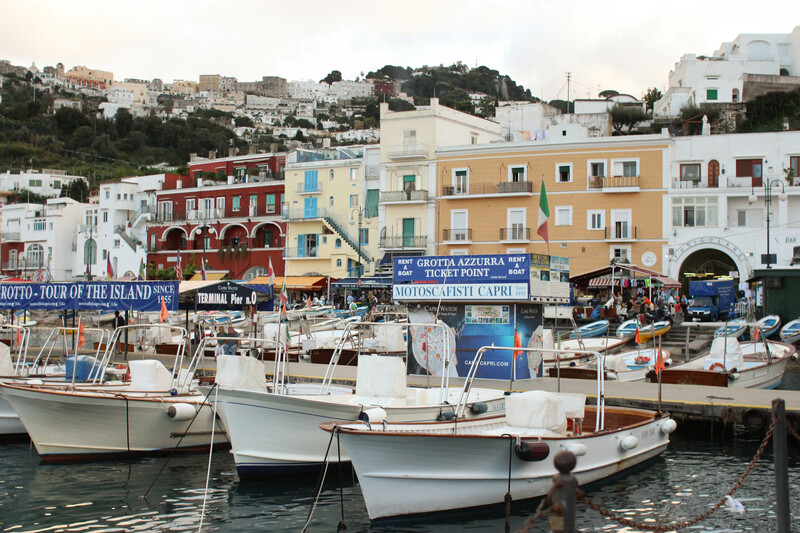 Our day trip to Capri was not a part of the tour as Capri is an island south of Sorrento. We took a ferry out there for a day trip. 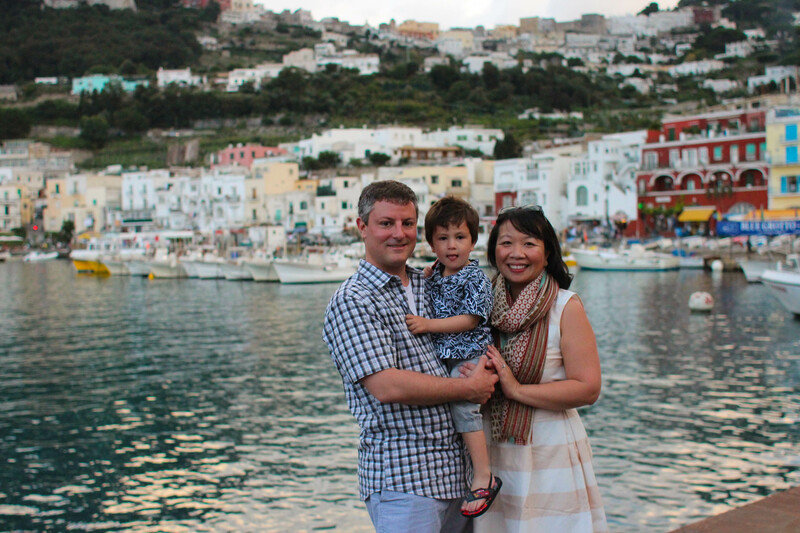 Looking back, we should have started the day earlier to spend more time in Capri but we were on vacation and I didn’t want to rush us around. Luke loved the ferry ride because we were on a huge boat. Charlie loved that he could drink beer on the ferry. And I was worried I might get seasick. 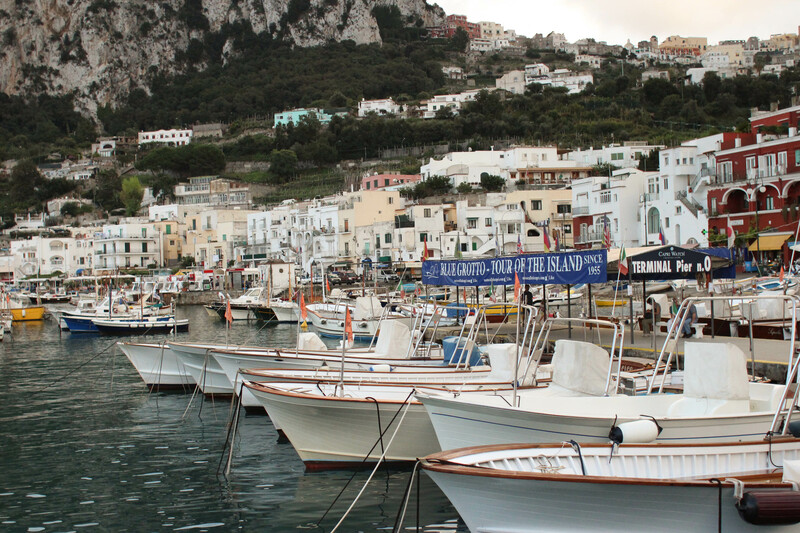 The port and architecture just blew me away in Capri. Everything was just so beautiful. You just had to take it all in. 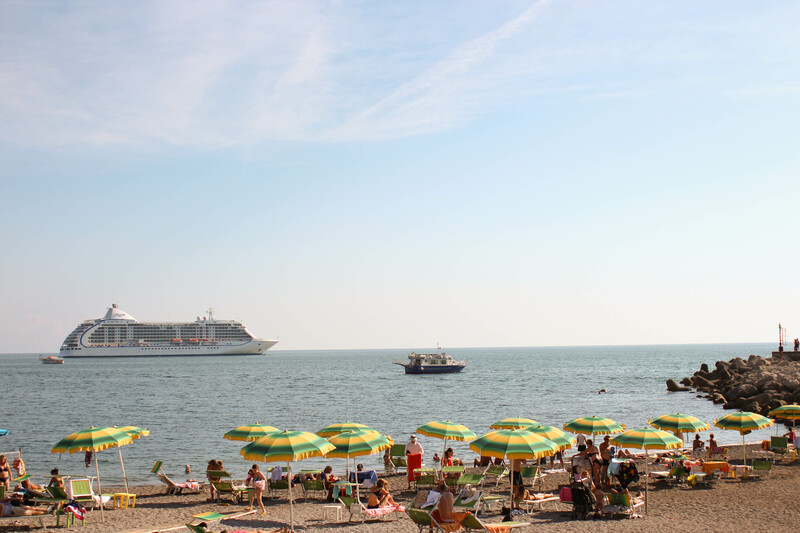 But, there were so many other tourists, and it was quite crowded. We took the funicular up and wandered around the town. 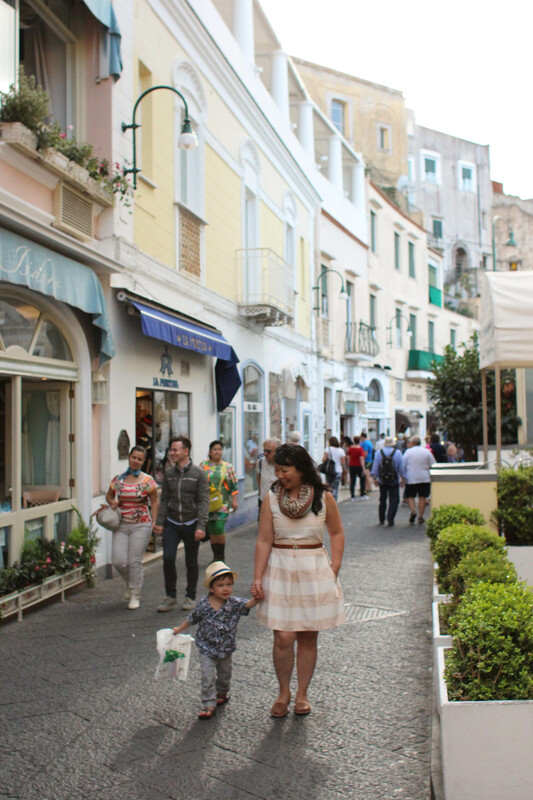 There’s lots of shopping in Capri. We purchased Luke a Ferrari (toy car). 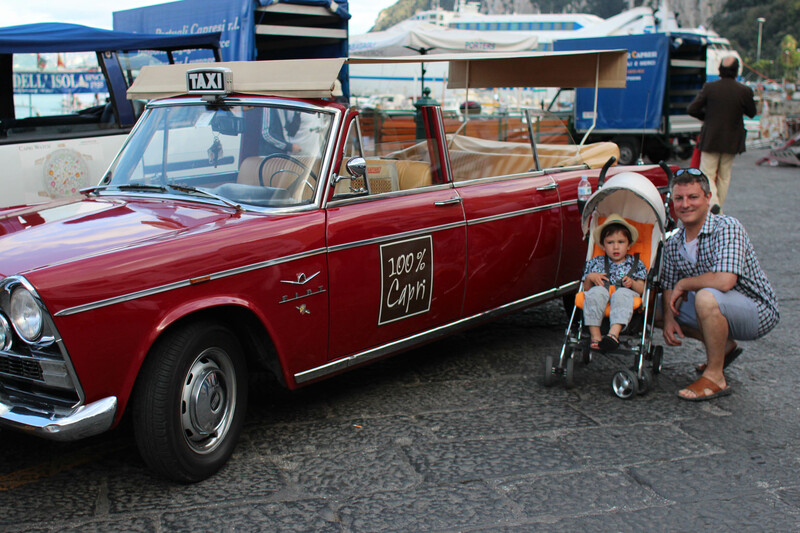 Now every time he picks up the car, he says “Ferrari from Capri.” I think it’s the cutest thing ever!